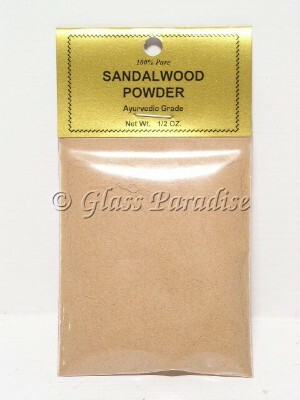 Sandal Wood Incence Powder *Wicca Aphrodesiac 1/2 oz. You will receive one 1/2 oz. pack of this premium quality ayurvedic grade sandalwood incense powder. New to burning resins and powders? Visit our info. page for complete instructions. For thousands of years Sandalwood incense has been a sacred element of worship. Commonly used in temples, ashrams, churches and mosques as well as in the home to purify and sweeten the atmosphere. Also considred by many to be a potent aphrodesiac *for heightened sexual energy. We're always happy to combine shipping for multi-item purchases. Stock up your personal supply & share with your friends. Pure Ayurvedic Sandalwood Incence Powder 1/2 oz.